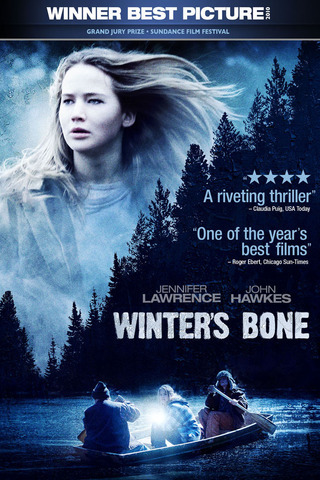 Last night as my husband and I watched the unflinching film WINTER’S BONE with Jennifer Lawrence, I couldn’t help thinking how little we know about one another as we shoulder our way through a mall or down a busy street. In the film, the central character is a young woman whose father made his living cooking meth. She lives in the Ozark Mountains where most of the inhabitants are related, but they live by rules they invented—rules that are often brutal. She’s badly beaten by female relatives who believe they’re defending the privacy of their men. Although some will dismiss the harsh realities in the film because the setting is the Ozark Mountains, I have direct experience to tell you we have plenty of small cultures within our American society in which daily life is every bit as cold-hearted. I remember how shocked I was when I first entered college and someone shared insights into what it was like to grow up in the inner city where a child could be beaten for being good at school. Previously, I had no idea pockets of poverty in the U.S. can operate according to values I didn’t recognize. In my years of teaching since, I’ve encountered “normal-looking” students whose parents were members of the drug culture, forcing their children into active roles both using and selling. I had students who had to take tests when the night before a family member was murdered, deported, or thrown out of the house. I learned that secret neglect, beatings, and sexual abuse aren’t limited to the poor. On the first day of school, I used to look out at the rows of faces and wonder what dark worlds were represented there. Recently, as Bruce Jenner brought transgender issues to light, and the mother who pummeled and dragged her son out of the Baltimore riots was judged by people sitting at home watching TV, and gang members braved the mob to encourage rioters to calm down, we were all reminded that although we share our humanity, we don’t all live in the same realities. We make guesses about one another, about how good or bad we are, and we’re often wrong. Empathy, or the ability to imagine what it’s like to be someone else, is limited first, by a person’s capability to experience empathy, and second, by what we know about the circumstances of the other person’s life. The word “should” is one we use to punish others—and often ourselves—for not being what we expect. Everybody has a story, and most of those stories are filled with surprises. We are all more than we seem to be. This entry was posted on May 2, 2015 by Personal Journeys with Gramma in Working the Craft: Reading & Writing and tagged Assumed Understanding, Assumptions, Empathy, Expectations, Home Life, Home Life vs. Outside Life, Humanity, Individual Reality, Outside Life, Perception vs. Reality, Perceptions, Personal Representations, Reality, Reality vs. Illusion, Representations, Understanding, Winter's Bone.